The cause of the blaze is still under investigation. 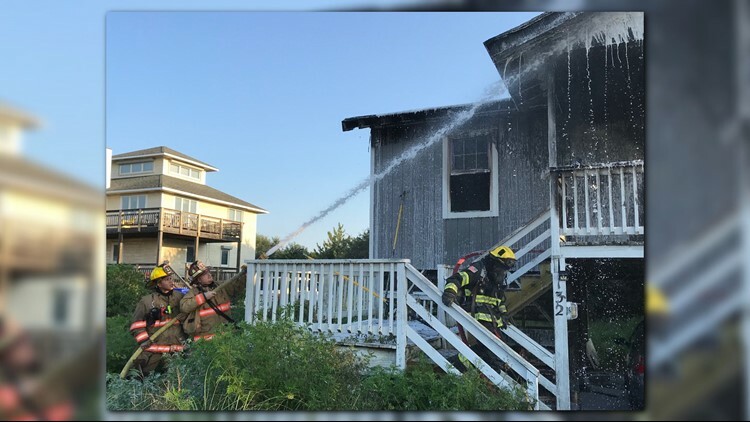 DUCK, NC (WVEC) — Firefighters were called to a residential fire in the 100 block of Dune Road Wednesday morning. The Duck Fire Department was called to the scene around 6:40 a.m. and found flames, smoke and heavy fire coming from the residence. Luckily, all three people in the home were able to escape without any injuries. The fire was contained to the home, and no other structures were involved. The cause of the blaze is still under investigation. Southern Shores Volunteer Fire Department, Kitty Hawk Fire Department, Corolla Fire and Rescue, and Dare County EMS all assisted in extinguishing the fire.